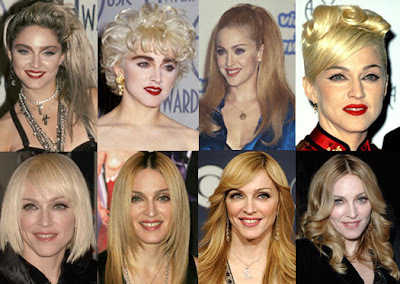 When it comes to hairstyles, Madonna the materiel girl has done it all, over and over and then some. Here we take a look at a nice variety of her fabulous blonde hairstyles of choice. This woman is in her fifties and can still go toe to toe with any young starlet, in terms of style and appeal. You go girlfriend!